Download a zipped folder with print versions of these poster files. Nossa Familia focuses on bringing you exceptional coffee stemming from exceptional relationships. At every step, we continuously strive to foster community, ensure social responsibility, and minimize our environmental impact. This tradition starts with our family - 'Nossa Familia' in Portuguese - which has been growing coffee in the highlands of Brazil for over a century. We work hard to treat everyone in our supply chain as part of our extended and ever-growing family. We're proud to offer you great coffee from great farmers. Augusto Carneiro has always felt a deep sense of pride for the beautiful coffee his family has been growing in Brazil since the 1890s. In 2004 he founded Nossa Familia Coffee and began bringing his family's coffee to Portland. Early on, all of Nossa Familia's coffee was imported directly from the family's farms in Brazil; over time Nossa Familia has developed direct trade relationships with coffee growers around the world - places like Guatemala, Nicaragua, Peru, Rwanda and Ecuador. All of Nossa Familia's coffee is roasted in Portland on a Loring Kestrel, the most environmentally-friendly roaster available. The recycling of hot air from the roaster drum eliminates the need for an afterburner, allowing the consumption of 80% less energy and emit 80% less emissions than a standard roaster. At Nossa Familia Coffee, we are passionate about roasting outstanding coffee sourced through deeply-rooted relationships. Our family has grown coffee in the highlands of Brazil for over a century, and remains the core of our direct coffee trade. Today, the family trade tradition embraces smallholder farms and cooperatives all over the world, and we take pride in treating everyone in our supply chain as part of our ever-growing family. We hope you enjoy this coffee as much as we enjoy bringing it to you. Nossa Familia Coffee is a Portland, OR-based roaster whose passion is for roasting outstanding coffee sourced through deeply-rooted relationships. With family ties to over a century of coffee farming in the highlands of Brazil, today the family trade tradition embraces smallholder farms and cooperatives all over the world. Nossa Familia takes pride in treating everyone in its supply chain as part of an ever-growing family. Nossa Familia Coffee is a specialty coffee roaster founded by Augusto Carneiro, whose family has been growing coffee in the highlands of Brazil since the 1890s. 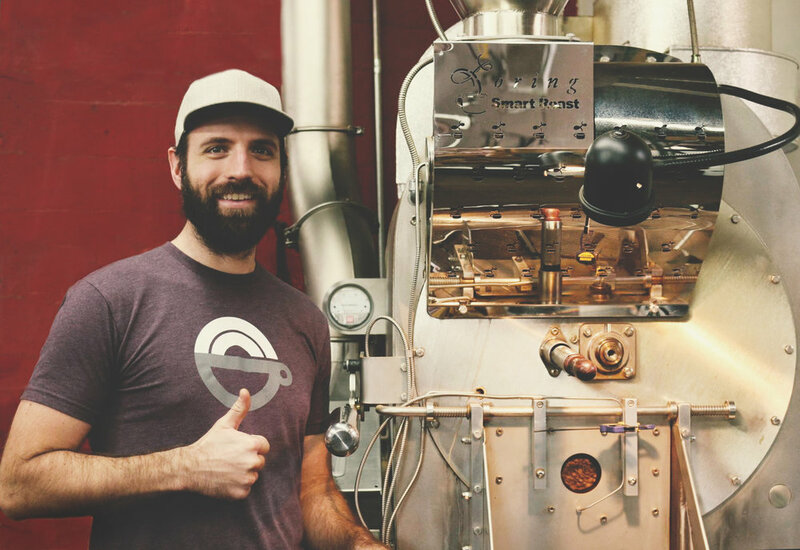 Consistently named one of Portland's best coffee roasters, Nossa Familia is also the first B Corp Certified roaster in Oregon, signifying a deep commitment to sustainability. Nossa Familia works directly with coffee farmers around the world to source high-quality specialty coffee from origins like Brazil, Guatemala, Nicaragua, Peru, Kenya, and more. Nossa Familia supplies beans and equipment to cafés, restaurants, hotels, and offices primarily in the Pacific Northwest, including its own self-operated cafés. In our family, the word ‘sustainability’ means taking care of the soil, the trees, the people, and the environment. We focus on the ‘Full Cycle’ of coffee, which ecompasses the tight-knit relationships we have with our farmers, our energy-efficient roaster in Portland, and our baristas who have refined their craft. We are proud to be part of the B Corp community, affirming our commitment to use business as a force for good. Augusto Carneiro is the founder and Chief Friendship Officer of Nossa Familia Coffee. Hailing from Rio de Janeiro, Augusto came to the Pacific Northwest to attend the University of Portland, where he played tennis, rode bikes, and studied engineering. 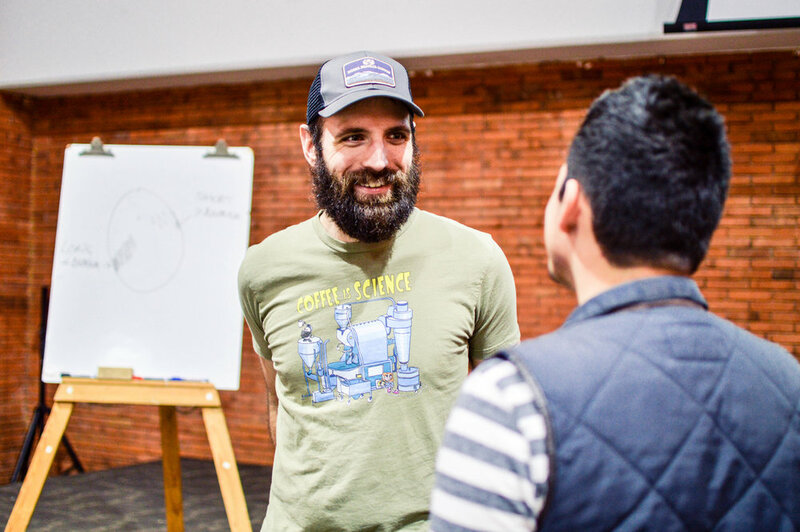 After college, Augusto worked for a few years as a mechanical engineer, but soon became frustrated with a job he felt was mundane and unfulfilling. His thoughts kept drifting back to his childhood and the time he spent working on his family’s coffee farms in Brazil. Filled with a deep sense of pride for the beautiful work his family had been doing for over one hundred years growing coffee, Augusto decided to start bringing his family’s coffee to Portland. He founded Nossa Familia Coffee in 2004 and still oversees all aspects of the business with a special focus on sales, marketing and company culture. 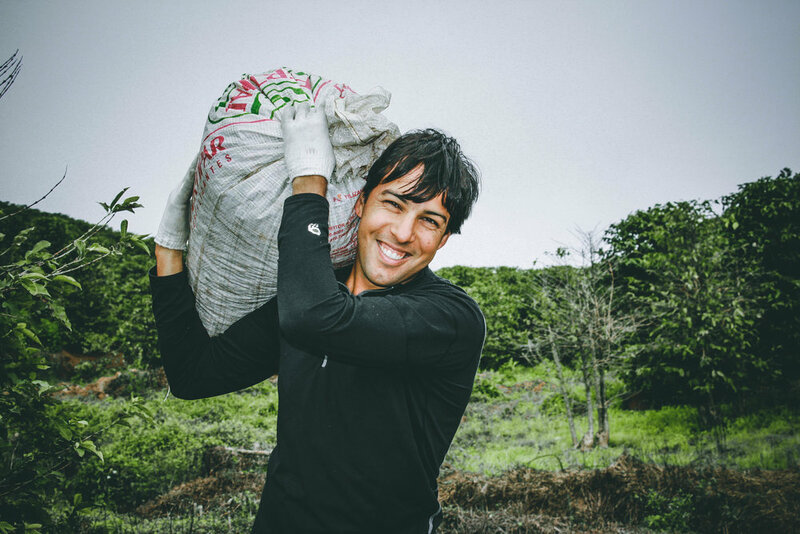 Augusto’s passion in business is not only for his family’s award-winning coffee, but also for building an amazing team and using business as a force for good, signified by the company’s honor of becoming Oregon's first coffee roaster to be a Certified B Corporation. Augusto has received recognition for his efforts, including Portland Business Journal’s 40 under 40 award (2014), Edible Portland’s Local Hero Award (2014), Oregon Ethics in Business Award Finalist (2016) and P:ear’s Community Partner Award (2016). 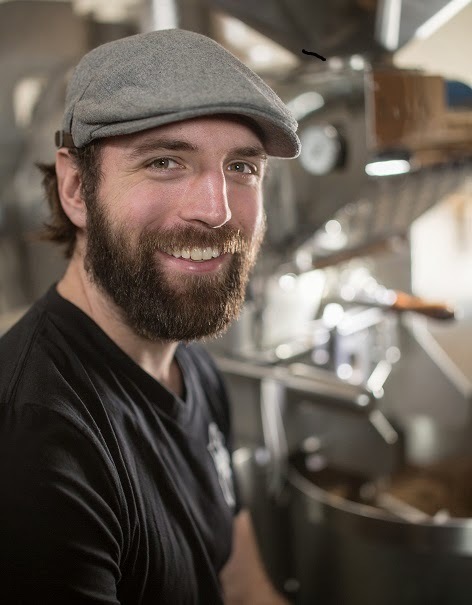 Rob Hoos is the Director of Coffee for Nossa Familia Coffee. He has a diverse range of experience within the specialty coffee industry, including training, roasting, and green coffee purchasing. He holds the highest level certificates from the Roasters Guild of America and serves on its Executive Council. He also works as a subject matter expert, content developer, and instructor for the Specialty Coffee Association (SCA). He is a Certified Trainer for Loring Smart Roast and travels around the world instructing on roasting methodology and technology. In March 2015, Rob published a book on coffee roasting, Modulating the Flavor Profile of Coffee - One Roaster's Manifesto, which has sold nearly 3,000 copies worldwide. Rob manages the entire coffee program at Nossa Familia Coffee, developing relationships with farmers and importers, ensuring quality control, and managing roast profiles. Rob hails from a small town in Ohio, and in addition to coffee (it was a hobby before it was a job), he also enjoys whiskey, beer, wine, food, and travel, and most of all spending time with his wife and two daughters. Rob loves wearing quirky, coffee-related shirts (our favorite is "My cardio is a coffee run") and will usually promote free shirts he receives (size large) on Instagram as @robhoos.